Hey! Make it easy, follow us by email! A New Chapter! And Farewell My Friends! Good morning, All! This will be the last post of the StarDragonfly Herbals Blog!. I have thought long and hard about this decision.....honestly, I do not seem to have the time to devote to blogging. I am sad. I really enjoyed blogging! And I loved all the comments that I received from readers. I did not want to just disappear from the blogging world. I wanted to say "Farewell!" Closure is good. And for me and mine this closure is very good. As most of StarDragonfly Herbals readers know, I opened StarDragonfly Herb Company (a brick and mortar establishment) in June. And like the herbs we sell, the store is growing and blooming and seeding and doing all the planty things it should be doing! And I love it! I was only going to be open 4 days a week, well, that has grown into 5 days a week. The hours fluctuate with events that are happening in the small town of Winnsboro, Texas. So, sometimes the days are very long and busy! Which is awesome. In fact, a nice lady named Ann has agreed to be my apprentice! I took a very nice photo of her, but the camera is sitting on my desk.....which is about 20 miles away. 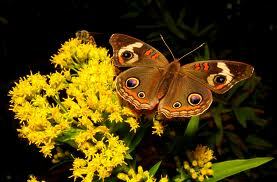 So watch for Ann's photo on StarDragonfly Herb Companies FACEBOOK page. That brings me to FACEBOOK. This is what I have been doing. Every morning I put a photo and blurb about herbs or products in the store or just an inspirational saying in a post. I have found that this is mini-blogging! It is fun! And it helps those following me know what I do and have at StarDragonfly Herb Company! 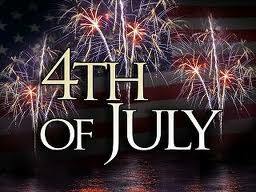 So please, LIKE StarDragonfly Herb Company on FACEBOOK! The link is at the top right of the blog. Oh, I bring that up because I hear this quite often. "Well, just what does she have in that store?" And what do we have at StarDragonfly Herb Company? Lots of wonderful herbs and herbal products! Let me see if I can give you some examples! Organic chocolate bars and the absolute best Organic Hot Chocolate mix. Aprons and Tea Cozies from Glynda, The Cozy Kitchen. Sister Susan's Face Creams for Cowgirls and Country Girls and my magic salves. Christie, one of the shop "cats"
Herbal Tea Samplers-makes a great gift or these samplers are a wonderful way to star drinking herbal tea. Sometimes it is just so hard to make a decision on which delicious tea to purchase! Herbal lye soaps from Native Naturals. 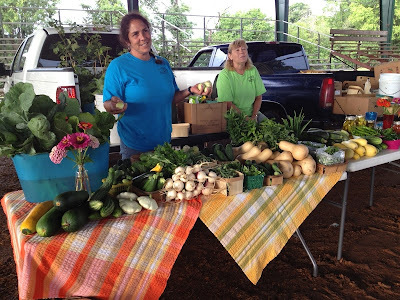 DVD's on the Edible, Medicinal and Utilitarian plants of Northeast Texas! Awesome videos! At a great price! CD that is a pdf file of the 100 top medicinal herbs. Great reference. And so much more! There is always a fresh pot of herbal tea brewed, so please feel free to stop by for a cup of tea and a chat. I will even get out the good china! "I guess it's going to have to hurt, I guess I'm going to have to cry. And let go of somethings I've loved to get to the other side. I guess it's going to break me down, like fallin' when you try to fly. Sad but sometimes moving on with the rest of your life starts with goodbye." No Tea Cozy? Herbal Gift class and a Critter with Good Taste! 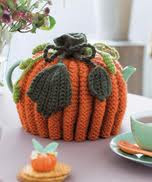 Love this Pumpkin Tea Cozy! old green dairy boots"), and I have watched most of the British mysteries on Netflix at least twice. My herb shop is filled with English antiques, I drink a cup of tea at 4 o'clock daily (with a shortbread cookie or a scone and I wonder why I had to give my apron maker all my old jeans! 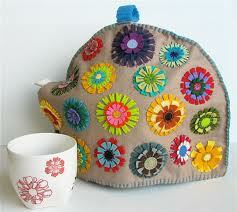 ), I faithfully read Victoria magazine, but I do not own a tea cozy! I even have Tea Cozies in my herb shop! I use one daily when I make herbal tea for customers.....but I don't have one at home. I wonder why? Okay, enough of that! Let's learn something about tea cozies! 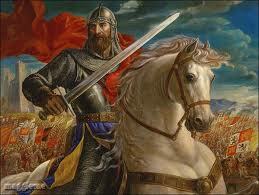 started in England. (Okay, let's give credit where credit is due!) The cook or ladies maid that snuck the tea and goodies up to the Duchess's room probably invented some sort of cover for the tea pot because the Duchess and her gal pals got to gabbing and their tea would get cold. And tea was very expensive at that time. And the Duke probably got terrible upset if said gabby ladies didn't drink their tea while it was still hot! 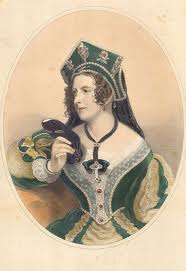 Red faced, he stomped up and down the lady's chamber, muttering, "After all, Anna, do you think I am made out of money!" Oops, sorry! Okay, the tea cozy became popular during the late 19th century because the Victorians had an obsession of decorating and covering objects? This info is from Wikipedia. Well, I had some lovely photos of The Cozy Kitchen's Tea Cozies that are for sale at StarDragonfly Herb Shop. But, wouldn't you know, the camera is sitting on my desk, in the store, 20 miles away. 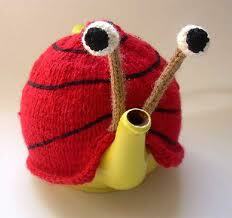 So, for those of you who follow me on FACEBOOK, well, watch for tea cozy photos this week! Class 1 Creating Herbal Gifts! This will be the first class of the Introduction to Basic Herbalism series! And what a great way to get started! Learn fun ways to incorporate herbs into gifts for family and friends! Learn the medicinal value of herbs that are in the products you will be creating. Share your experiences with other class members! Start building your vocabulary of Herbal Medicinal Properties. Students will receive 10% discount on "StarDragonfly" products on day of class. 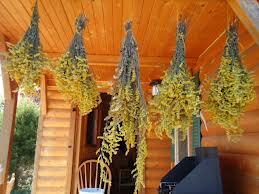 Class size will be limited, so please call or email to reserve your spot at the herbal work table! "The Little Herb Shop on Elm Street"
"Under certain circumstances there are few hours more agreeable than the hour dedicated to the ceremony known as afternoon tea." It is almost Thyme for the "Herb" Mysteries Book Club! Join us for a fun evening of herbies and cozy mystery fans, getting together to read the Susan W. Albert, China Bayles Mystery series. These herbal mysteries are easy and fun reading. 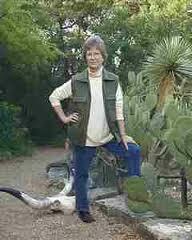 China Bayles is a fictional herbalist who owns and operates, Thyme and Seasons, an herb shop in Texas. Each book contains lots of herbal information and some recipes. This first meeting will be FREE and please, bring your favorite herbal snack to share with the group. Sip herbal tea while enjoying this introduction to The "Herb" Mysteries Book Club. We will be learning about the series, and planning future club meetings. This Group will meet on the last Thursday of each month at 7:00 - 8:30 pm. "The Little Herb Shop on Elm Street!" If you would like to learn more about Susan W. Albert and her other mystery series, check out her website www.abouthyme.com and subscribe to her e-letters. The Winnsboro Farmer's Market will be on Market Street all Saturdays in October! StarDragonfly Herb Company will be open at 8:00 am on Saturday mornings in October! 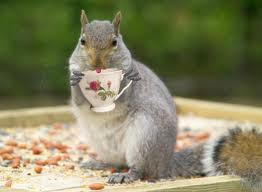 So, when you are shopping the Farmers Market, just come on across Elm Street and have a cup of herbal tea and say "Hello!" Will be looking forward to seeing everyone from the market! There will be a Farmers Market Bingo game going on during the month of October! SDHC will have a space on the card! Make "The Little Herb Shop on Elm Street!" one of your stops! And there will be a sale on all bulk herbal teas for Bingo participants! Goldenrod, Another Class! 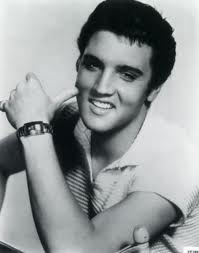 and Elvis in Winnsboro, Texas? Goldenrods, Asters, a thistle and some bugs. Good morning, All! Wow! The last couple months have been crazy fun at StarDragonfly Herb Company! SDHC has been in business now for 3 months! I was telling Cousin Sandra the other day that SDHC is like having a young baby. Right now, the store NEEDS me and all my energy! So, for those of you that have missed the Blog. Well, my sincere apologizes! And thank you so much for letting me know you missed the Blog and Thank you for all the support I have received from friends, family and customers to get StarDragonfly Herb Company on her feet or should I say get her "roots set"! Oh, and by the way, SDHC is doing FANTASTIC. Inventory is growing daily, new customers come in daily and more folks are getting turned on to HERBS daily! Now that is what I call SUCCESS! Now, I will try my best to give the Blog more attention! Thursday evening was the Introductory meeting for the Introduction to Basic Herbalism class series! It was a smashing success! There were a total of 17 of us! After we introduced ourselves, Nancy of Falster Farms gave us a brief history of Honey and some of it's medicinal uses. Then we stopped for a short break and Nancy provided us with Chicory tea (to which we added honey and half and half), chocolate covered meringue bites and a very delicious honey and (Young Living) citrus essential oil flavored Kefir cheese. After our snack we talked about the amazing medicinal properties of Cayenne Pepper and made a massage oil for cold, achy joints with Cayenne and Coconut oil. I would like to send a Thank You to Nancy for helping me with this class and being the first speaker of the series and providing us with such yummy treats! Let me tell you, I have had phone, email and Facebook requests to teach the Introduction to Herbalism class during the day! So, I know this is short notice but, here we go! For more information or to register, please give me a call (903-588-4313), an email or get in touch with me on Facebook. There are 2 more events this week at SDHC! We love for you to bring your mystery plants and try to "stump" the local "experts"! Or educate us with some facts about local wildflowers! And you just never know what might happen! Last meeting, Shawn built a "friction" fire using a Mullein stalk! StarDragonfly Herb Company will have a Speaker! Listen, Folks, if you have never heard Karl speak, well, you are missing an oratory from a very fine southern gentleman! Karl gives a great talk on bees and honey and is funny, to boot! Besides, Nancy usually shows up with some yummy honey laced treats! So stop on by Winnsboro, next Friday evening! Oh, and dig out those Poodle skirts and Saddle Oxfords, get your special guy in that white t-shirt and rolled up blue jeans! Put a pink ribbon around your pony tail and slick your guys hair back and join us for Fifties Night! I bet we will be "Rock'in"! Elvis style! and makes a delicious tea! But you may not want to dry it in the house! So, on the 3rd Friday of the Month, whether it is full moon or not....a pretty good handful of merchants and citizens, weeeell, let me put it this way, sometimes we don't even know what is going to happen! Have you ever heard of Steampunk? Neither had I but let me tell you about it, just in case, you come to Winnsboro and see us all dressed up! "Streampunk is a genre that originated during the 1980's and early 1990's and incorporates elements of science fiction, fantasy, alternate history, horror and speculative fiction. it involves a setting where steam power is widely used--whether in an alternate history such as Victorian era Britain or "Wild West"-era United States, or in a post -apocalyptic time--that incorporates of elements of either science fiction or fantasy. (The term "Steampunk" originated in the late 1980s with a cheeky letter to Locus Magazine from science fiction author K.W. Jetter. Jeter was trying to find an accurate description of works by himself (Morlock Night), Tim Powers (The Anubis Gates), and James Blaylock (Homunculus). While Jeter coined the word, it was William Gibon and Bruce Sterling that brought the genre attention with the book The Difference Engine (1992). This info is from the website www.ministry of peculiarocurrences.com). Works of steampunk often feature anachronistic technology, or futruistic innovations as Victorians might have envisioned them, based on a Victorian perspective on fashion, culture, architectural style and art. This technology includes such fictional machines as those found in the works of H.G. Wells and Jules Verne, or the contemporary authors Philip Pullman, Scott Westerfeld and China Mieville." This info is from Wikipedia. Mademoiselle! Straight out of the pages of Art and Espresso! You said I needed what removed? Okay, now this is just a sampling of the photos I took on Friday. I will share more with you in the following weeks! And yes, I did dress up as the mad (as in crazy) herbalist. Ms. Dandy (Dandelion) Dragonfly. My costume needs some work.....more metal, I guess, and definitely will have goggles and a gun. Because a girl just cannot be expected to make a trip through the jungles of Victorian science fiction with out all the right stuff. A Medicinal Mystery Plant and a Cool Soup! How many people can really and truly say, I love my job! Well, I do love working with plants (though admittedly, I am not crazy about gardening in the summer heat), growing plants, touching plants, talking about plants, and making herbal teas and medicinals from plants. Saturday night, I was so happy to be able to share some recently gained information on this beautiful plant, Indian Mallow. L and I were enjoying an Ice Tea and music at Liefie's in Winnsboro when a gentleman came over to our table. He had just learned that I owned StarDragonfly Herb Company. He was so excited to show me a photo of his "mystery" plant. When he showed me his photo, "Well, Lo and Behold! ", it was my new plant friend, Indian Mallow. Needless to say he was very happy. So, my new friend from Saturday evening, if you are reading the blog today, I thought you just might be interested in some more information on your "mystery" plant. Indian Mallow generally grows wild on the prairies and open woods of Central and West Texas. The roots and mucilaginous bark increase the secretion and discharge of urine. A tea made of this plant (Indian Mallow) is an effective remedy for treating fevers. Indian Mallow has a soothing effect on the skin and mucous membranes. A paste can be made and applied to all types of abscesses and itches. Makes an effective mouthwash for toothache and tender gums. The whole plant is uprooted, dried and is powdered. In ancient days, maidens were made to consume a spoonful of this powder with a spoonful of honey, once in a day, for 6 months until the day of marriage, for safe and quick pregnancy. The leaves can be used to treat ulcers, headaches, gonorrhea and bladder infection. Tomatoes, cucumbers, onions, peppers and herbs. asks aspiring “chefs” to bring a bowl, spoon/fork/knife in a zip-lock bag. Plan to shop and eat supper at the store. Dessert will be served after class. It is so HOT, It must be SUMMERTIME! but they sure are gorgeous! Good afternoon, All! Summer has arrived! And is it hot! I know what we need on a hot day like today! A glass of iced Hibiscus Ginger tea! Oops, we don't seem to have any fresh ginger....but Hibiscus tea is delicious all by itself. Dieters or people with kidney problems often take it without adding sugar (be prepared to pucker up, talk about tart!) for its beneficial properties and as a natural diuretic. begging to become a delicious tea! Make the ginger simple syrup: Combine the sugar and 1/2 cup of water in a 2-quart saucepan. Bring to a boil and let syrup cook for 3 minutes, stirring until all the sugar is dissolved. Remove the pot from heat and add the grated ginger. Let syrup cool completely and strain. Set the syrup aside. Make the hibiscus tea: In a 4-quart saucepan, pour 4 cups of water over the dried hibiscus petals and place the pot over low heat. Bring the water to a slow simmer and let cook for 5 minutes. Turn off the heat and let the tea steep for another 5 minutes. Strain into a pitcher (When I don't use the ginger syrup, I add 1/4 cup honey and 2 packets of Stevia) and add in the remaining 4 cups of water. Fill the pitcher with ice (I do not add the ice). 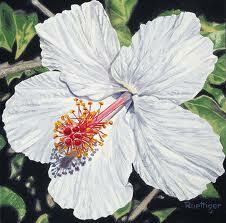 The Hibiscus family is very large and not all the members are edible. The Hibiscus sadariffa is edible and medicinal. Quite a versatile and beautiful plant. Roselle or hibiscus is an aromatic, astringent, cooling herb that is much used in the Tropics. I believe it, because it is the "tea" of choice here on the farm during our long, hot and humid summers! We have dried Hibiscus flowers in stock and can sell all our dried herbs and herbal teas by the ounce. Besides dried herbs, we now have hand-spun yarn from local animals and will soon have relishes, jams, jellies, herbal soaps, therapeutic bath salts and aromatherapy candles. Products will always be changing, so stop by often to see what is new. "it's a smile, it's a kiss, it's a sip of wine....it's summertime! If I were to take anything from you without getting noticed, I'd take all the loneliness and sadness in your heart, because you and your amazing self deserve to live the life you've always dreamed of......from Your Inner Sparkle. Engelmann's daisy is readily eaten by livestock and is now less abundant in much of its former range. It is primarily a species of native grasslands and ungrazed areas. I am not an expert at identifying wildflowers. If you feel I am in error, please send me a gentle email with your information and references. Thanks! Let's see what Mother Nature is up to today! Hello, friends and neighbors, I am an herbalist in Northeast Texas. I love learning about the native plants of this region. StarDragonfly Herbals is an herb garden and herb apothecary devoted to helping humans, animals, plants and Mother Earth. Pine Needle Tea and no, it doesn't taste like turpentine! Just a few sites you might enjoy!